UFO (Unnamed Filtration Object) by Magic Flight - Our latest accessory was developed by our fearless leader of contraptions, Magic-Flight's founder. 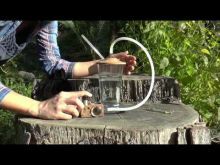 His vision was to have a stealthy, portable bubbler for on-the-go vaping. 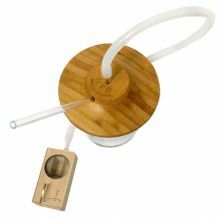 The result was a wooden lid that fit over the top of a water glass. As we studied his latest invention, we became quite amused with how it closely resembled a flying saucer. Many friendly jokes led to the notion that this piece's name should be a variation of the all-too familiar acronym, UFO. 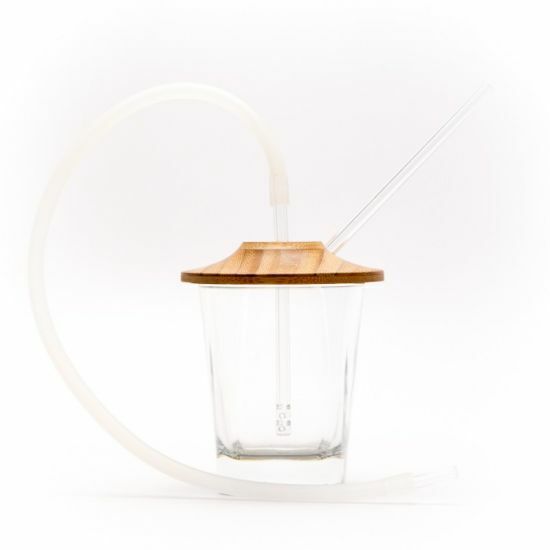 Thus, as we lovingly name all our products, the Unnamed Filtration Object was coined. Aside from the modern-day popularity of little green men running around, wielding probes and laser beams, UFOs have been widely accepted as an enigma throughout history. Spanning all cultures far and wide, for thousands of years, these phenomena have been documented in the petroglyphs carved into rock walls, medieval paintings, lore and artifacts. Countless accounts and theories have been recorded on such images and inexplicable occurrences. 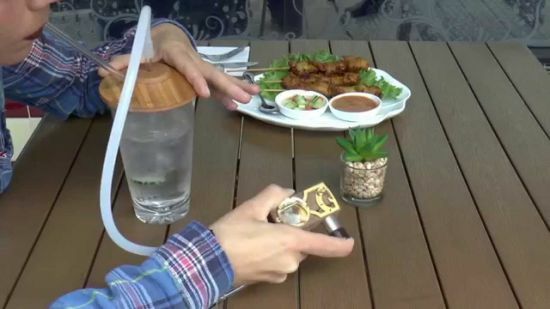 Whether or not one chooses to believe that UFOs actually exist, we have elected to fashion our own Unnamed Filtration Object for your vaping pleasure. 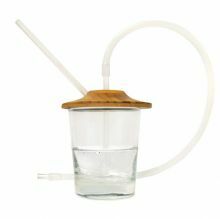 Made of laser-branded, water-resistant bamboo, the UFO features a gasket underneath to seal snugly over the rim of most vessels. 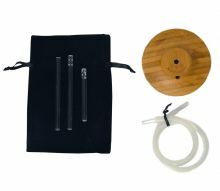 Accompanied by an acrylic draw stem, a whip to connect to your Launch Box, and two perforated acrylic straws (down-stems) for better bubble dispersion in glasses of varying heights, the UFO is a sleek and portable device that fits easily into your pocket. Stealthily make a water-vape on the go and see where your UFO will take you.